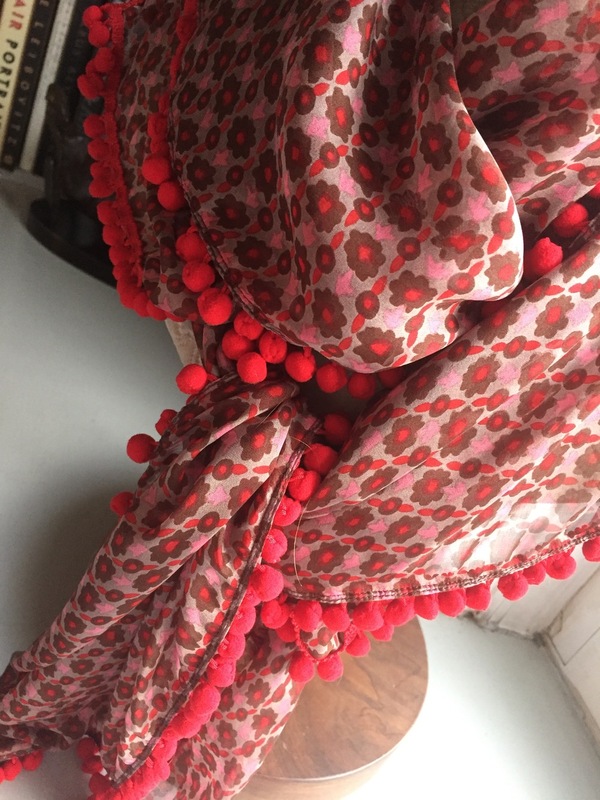 Silk chiffon scarf, approx. 54" square with cotton pom-pom trim. Limited edition scarves made in Brooklyn, NY from imported silk.